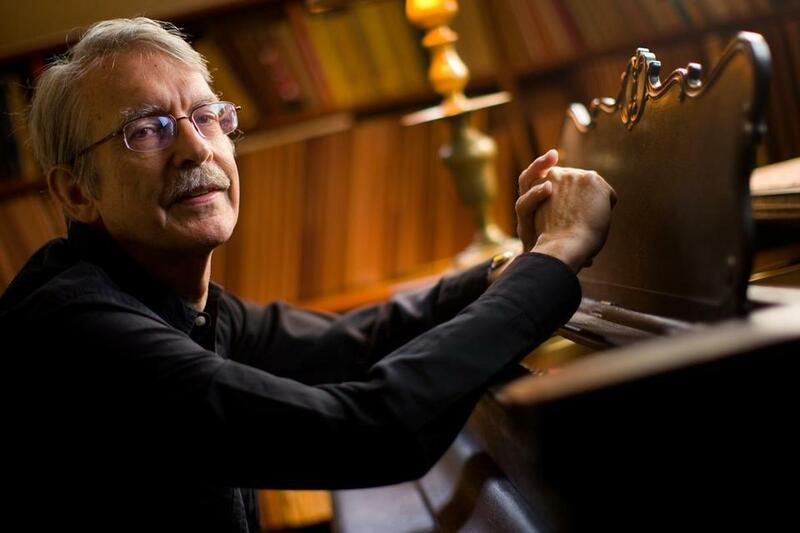 By his own admission, John Harbison was never a composer who spent much time thinking retrospectively about his own legacy. “For many years, I took the attitude, and would counsel composers in general, to just go forward,” he said during a recent phone interview. Focus on writing the next work to be written; the aggregate will take care of itself. About five years ago, though, Harbison, who turned 80 at the end of last year, began an inventory of his own large body of work. It was prompted, he said, less by a curiosity about his own journey than about classical music — “concert music,” as he referred to it — more generally. Because of the artform’s backward-looking reverence, we often gauge new works according to which might have the power to stay with us in the future. Harbison’s point, though, was that “concert music is very much for its own moment. And since I’ve been around a long time, I remember things when I was just a student starting out that I felt very sure would always be there.” As examples he mentioned two of his teachers: Roger Sessions and Walter Piston, neither of whose music is heard much today. This is a remarkable statement from a composer beginning his ninth decade: His interest in looking back is valuable to him only to the extent that it points the way forward and raises the bar for his own internal creativity. Harbison’s 80th birthday has not gone unremarked in Boston, where there has been an outpouring of works programmed for the occasion, including Boston Musica Viva’s world premiere of “IF,” a monodrama for soprano and chamber ensemble, in October, and the first performance of his complete “Sacred Trilogy,” by the Cantata Singers the following month. The Boston Symphony Orchestra will include in its Jan. 10 and 12 programs Harbison’s Symphony No. 2, a piece it has previously performed only under James Levine, in 2010. The Boston Symphony Chamber Players will follow with a Jan. 13 program dedicated to his music and Bach’s. Among Harbison’s recent projects, an unusual twinned pair are a book (his first) and a new piece for organ and orchestra, both titled “What Do We Make of Bach?” They were conceived as components of the same project, for which the title came first. “There was something about it that was both very challenging and slightly embarrassing,” he said. “One of the preoccupations I’ve always had about Bach is that the music is so alive and so incredibly indicative of directions in musical thinking that I wanted to find a way to express that.” And so the piece is a kind of extended working out of musical forms Bach made his own — fugue, chorale-variations — and the book a series of portraits and notes about not only Bach’s music but people for whom the composer was the magnetic force in Harbison’s relationship with them (including the late Craig Smith, artistic director of Emmanuel Music). Despite the tributes and commemorations, it has not been a uniformly festive time for Harbison. He admitted that it had been “a difficult year,” including prostate surgery a few weeks ago. His presence at MIT, where he has taught for decades, was “a bit of a shadow” this past semester, though he said that his health had recently improved significantly. More generally, reaching 80 has entailed a kind of reckoning with the inventory of works he still wants to compose in whatever time he has left, as well as “having to give up on the list of stuff that I thought I was going to do.” Nevertheless, he remains eager for the next challenge: At the time of our conversation, he was composing his first-ever piece for big band. At Symphony Hall, Jan. 10 & 12, 8 pm. Tickets: $30-123. At: Jordan Hall, Jan. 13, 3 pm. Tickets: $22-39.